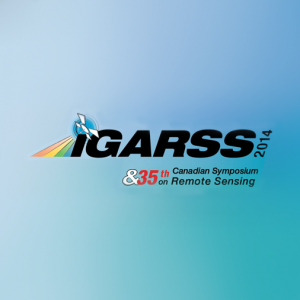 On Monday, July 14, 5:20 p.m. – 7:00 p.m., the Earth Observation team will participate in a poster session at the 35th Canadian Symposium on Remote Sensing. The paper presents the results of three different projects carried out by Effigis, all of which make use of SAR interferometry, but in different contexts. The three case studies relate to: (1) terrain and infrastructure stability in a northern mining environment affected by permafrost seasonal and long term changes; (2) the monitoring of electric transmission towers; and (3) the monitoring of a hydroelectric dam. Authors: Mathieu Benoit, Yacine Bouroubi, Claire Gosselin and Michel Rheault from Effigis Geo Solutions.